There is no getting away from it, and as much as many of us would like to avoid any further debate on the subject, something we have to address in this month’s outlook is Brexit. Looking back over previous editions of our monthly outlooks, this major forthcoming (we think!) change to our international relations has cropped up on a number of occasions. This month really sees it front and centre. Many industries and individual businesses are wrestling with the major uncertainty that the ongoing political deliberations are causing. When we wrote about Brexit in our round-up of the year at the end of 2018, little did we think that in the latter half of March, we would still be wondering what will happen next. 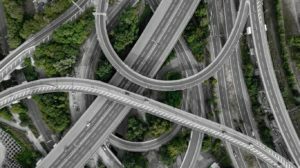 Whether Soft Brexit, Hard Brexit, No Deal Brexit or Delayed Brexit – the lack of a single clear direction is inevitably causing a crisis of confidence in lots of different areas of business. The construction industry has always had the potential to be particularly affected by Brexit. Important relevant factors include huge projects which either move ahead or are delayed as a result of general business confidence, cross-Europe construction co-operation, the confidence of consumers (and therefore house buyers), the value of the pound and the movement of workers across Europe. Is it any wonder that projects have been delayed whilst everyone waits to find out what the next steps will be? Turning to the important construction industry output figures for this month published in the IHS Markit/CIPS UK Construction Output survey, the latest index has shown a contraction in the UK construction industry for the first time following a period of 10 straight months of expansion. The most recent output figure was at 49.5, and as we have indicated in past blogs – anything above 50, even a very small amount, indicates an expansion – below means that the industry is contracting. According to the survey the only construction category to see any growth was housing and this was described as modest. There were drops in both commercial building and civil engineering. Anecdotal feedback from respondents highlighted Brexit as the major factor affecting confidence in the industry. The view was that general political uncertainty is leading to a drop in invitations to tender. Employment figures were not as robust as those seen at the end of 2018 but the good news is that employment creation has held steady and didn’t see any actual drop. Some companies reported that they are continuing to train staff in order to offset perceived skills shortages but at the same time the general outlook had caused some firms not to replace leavers. Despite the modestly positive figures for house building, there was some additional less than encouraging news in the latest RICS (The Royal Institute of Chartered Surveyors) Residential Market Survey for February 2019. The overall results showed a decline in activity throughout the UK housing market for new buyer enquiries, instructions and agreed sales. 77% of respondents indicated that Brexit uncertainty was holding back sales activity. The reality is that if people are not buying houses then this will apply an inevitable brake on them being built. 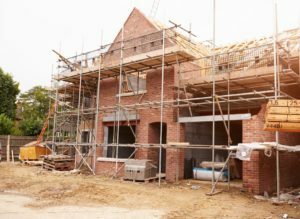 Residential house building has traditionally been the sector that has held-up the best for the industry, when negative sentiment has affected other sorts of construction activity. Construction activity remains busy and we are constantly on the lookout for skilled workers for our clients. At the same time we are looking forward to the resolution of the current Brexit stalemate – which we hope comes soon – and a welcome return to optimism for the UK Construction Industry. Find out more about RedRock Recruitment – or get in touch with us if you need more information about any of our services. For those who regularly read our construction industry blogs, there can be no doubt that 2018 was a year of ups and downs. Most industry players and stakeholders from the wider economy have probably had their fingers crossed in the hope that 2019 might shape up to be a more consistent year. Unfortunately, February’s construction output figures do not seem to be giving that impression. The latest IHS Markit/CIPS UK Construction Output survey published on 4th February has shown output figures to be at a low not seen for nearly a year, in contrast to the tentative optimism that we saw in last month’s data. The PMI index had a score of just 50.6, down from the 52.8 recorded in the previous month, indicating a marked drop in activity from the previous month. Another cause for concern was that the index was below forecast expectations of 52.6. The Guardian Newspaper cited this as a ‘significant slow-down’ in growth, and the commentary accompanying the survey from IHS Markit/CIPS pointed towards a ‘loss of momentum’. This is probably not what most stakeholders in the industry want to hear. New business levels also experienced an eight month low. Respondents reported that many clients were taking a ‘wait and see’ approach to major projects which in turn was having a direct affect on employment with some projects being delayed. The feedback from respondents indicated the slowest expansion of construction employment figures for two and a half years. All three of the major construction sectors; Commercial, Civil engineering and Residential, saw weaker growth than last month. Residential work was the strongest of the three (despite being described by the IHS Markit/CIPS commentary as ‘modest’). Civil engineering saw a minor increase and Commercial construction was the worst performing area with a decline in commercial projects (for the first time in 10 months). This sector is most likely to be affected by a general lack of confidence in the British economy and the geopolitical environment, which still persists whilst the country awaits the outcome of the Brexit negotiations. There is no doubt that the UK needs more housing so it is positive that this sector continued to see growth, albeit less robustly than recently. The government’s Help to Buy scheme has supported the number of home purchasers in the market which in turn is likely to have had a positive impact on residential building projects going ahead. The index is above 50 so the industry is still (just) expanding rather than contracting. The figure has remained above 50 since the major weather problems experienced in early 2018 but this is the lowest level since then. More positively, although the construction survey respondents were feeling less optimistic than at the end of last year, the majority still reported that they expect to see output to continue to rise as the year progresses. 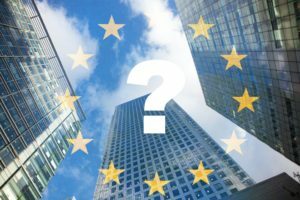 Inevitably, uncertainty over Brexit and the ongoing fears that there may be a hard Brexit were the most commonly cited reason for projects awaiting final approval. Until this issue is resolved and the construction industry has a clear idea of the way forward, the uncertainty is likely to remain. Looking back on last year, we know that individual ups and downs are not necessarily indicative of a consistent downwards trend. We continue to remain busy and will monitor developments in the industry closely over the coming months. If you need high quality construction personnel for your project – get in touch with us today. Looking for a new role? Please complete our online registration form. How will the industry shape-up as we move into 2019? Following the Christmas break, January can sometimes be a shock to the system! 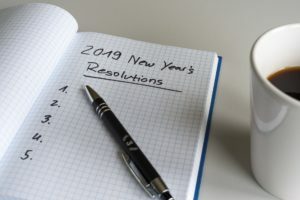 This is often a quiet time of the year, when we like to think about the year ahead and get to work on our New Year’s Resolutions. So how are things looking for the construction industry as we embark on 2019? If you remember from our end of year blog, 2018 was quite a mixed year for UK construction, with some major ups and downs. As with many aspects of commercial life in the UK, the uncertainty surrounding the future direction of Brexit was casting its shadow over confidence in the industry, and the ongoing political deadlock means we are not much further forward. That said, there are some reasons to be a little cheered by the January IHS Markit/CIPS UK Construction Purchasing Managers’ Index and output figures. 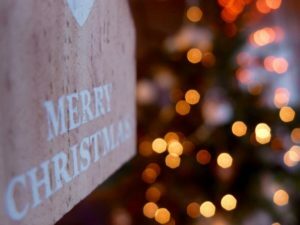 The rundown to the end of the year, and the Christmas period causes a slow-down in a number of industries, so a reduction in output is never a surprise. This month’s survey showed a fall to 52.8 in December which was slightly below the forecasted 52.9. A figure below forecast can be an indication of weakening sentiment in the industry but it is important to remember that anything above 50.0 indicates expansion, so the industry is continuing to see growth. Looking at the detail in the commentary, the drop was in housing and ‘other commercial activity’. 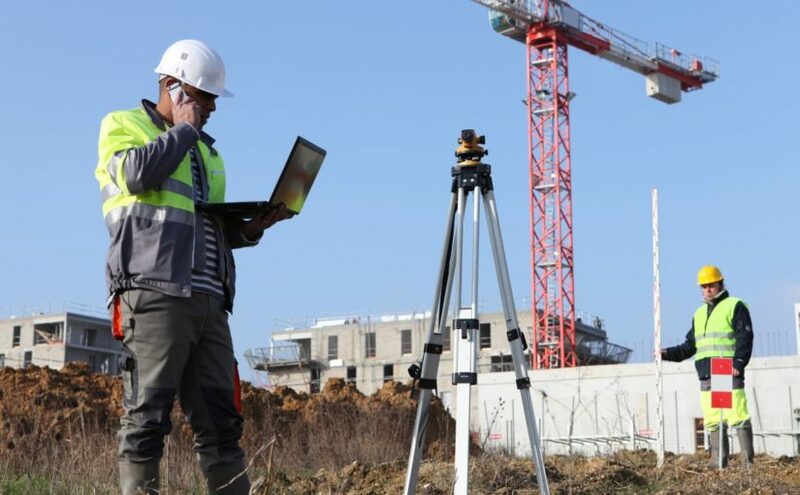 Although the overall output figure had dropped, there was encouraging news with stronger performance for civil engineering at the end of 2018. There was also an increase in both transport and energy projects which bucked last year’s trend for optimism about infrastructure work to be subdued by the spectre of Brexit. Interestingly the report also indicated that business optimism amongst respondents was at its highest level since April last year. 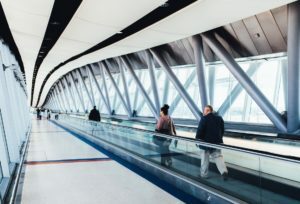 According to building.co.uk there are a number of major infrastructure projects on the horizon which may have contributed to this, including HS2 and Crossrail and the country’s major airports Heathrow, Gatwick and Stansted all looking at expansion plans. The important phrase here is ‘on the horizon’. It is vitally important for the industry that these projects go ahead as planned and with minimal delay. There was further good news in the 2018 National Infrastructure and Construction Pipeline which was published by the government in November and which outlines £600bn which has been allotted to fund new infrastructure projects in the UK over the next 10 years. The plan is that these projects will be undertaken with a new modern and efficient approach to construction which better reflects practices in the manufacturing industry, and will involve the construction of roads hospitals and schools. Despite the up and down nature of 2018, we are looking forward to a positive and busy 2019 and are continuing to see demand for high quality construction professionals for a range of building and infrastructure projects. If you are looking for high quality personnel or for your next work opportunity, get in touch with us or browse our job opportunities today. 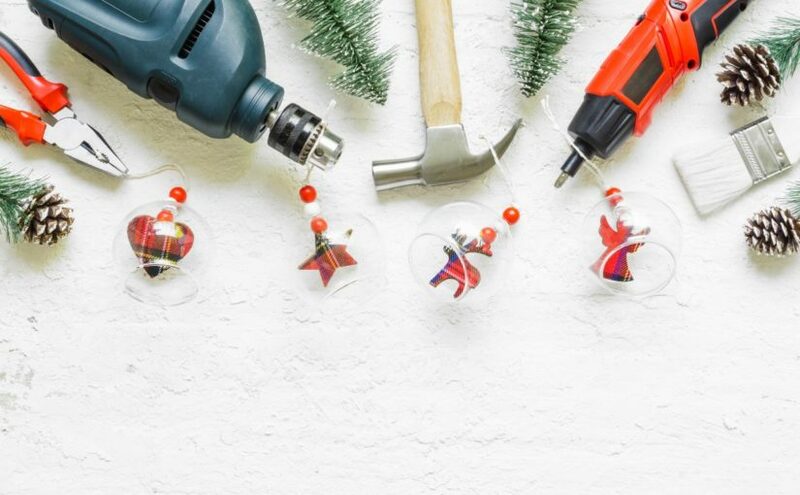 In this month’s blog we are taking the time to pause and reflect on what we have learned about the health and wellbeing of the construction industry this year. 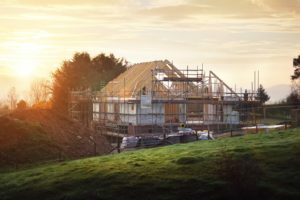 Weather has been a real theme for the construction industry this year and it is interesting to note how meteorological factors can have a real impact on the health of the sector. 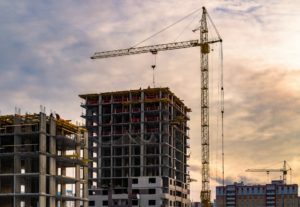 Lukewarm construction output figures at the start of the year were blamed on the ‘beast from the east’ inclement weather conditions which brought much of the nation to a halt and which seemed to cast a pall over construction activity in the first quarter. In stark contrast our very hot summer had the opposite effect and when combined with the football feel-good factor of England’s performance in the world cup – the whole nation was feeling cheerful. 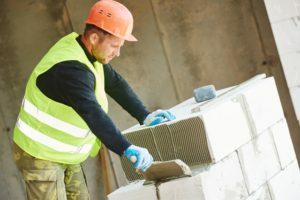 Good weather was cited by industry commentators as giving the construction industry a boost – helping it to bounce back from a weaker start in the winter. It is impossible not to mention Brexit as this ongoing situation has the potential to affect all aspects of the construction industry. Along with most businesses, it is the current uncertainty that construction firms are finding it difficult to deal with as this makes it tricky to plan major projects. Anecdotal feedback in all of the surveys and analysis that we have looked at this year has highlighted Brexit as having the potential to put a temporary or permanent halt on some projects going ahead. It has been a ‘mixed picture’ – but we are still building houses! ‘Mixed’ has been the word when looking at activity across the industry this year. Despite often favourable construction output figures and ONS updates, industry watchers have been tentative when it comes to an optimistic outlook for the sector. 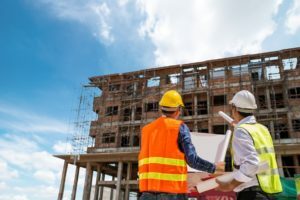 Political uncertainty and up and down figures have left the industry feeling not entirely confident and although there have been generally positive figures for house building and repair and maintenance work, some infrastructure projects may have been delayed with political uncertainty still a factor. What are we expecting for 2019? We mentioned it earlier in this blog but we have to come back to Brexit. 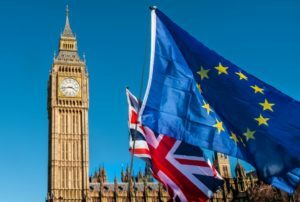 In the summer, Construction News cited a number of potential concerns related to Brexit including availability of materials, the possibility of more red tape and a threat to the funding of some construction projects. The reality is that we have no more answers on those points than we did then. Probably the highest profile impact is likely to be on our construction workforce as the industry is very dependent on migrant workers from the continent and despite the fact that we are still waiting for ‘the deal’ there is little doubt that movement of workers will be restricted. This has the potential to increase the cost of projects and even to delay some from going ahead. The construction industry is on tenterhooks to see how Brexit plays out and what this means for the sector as a whole in 2019 and beyond. The good news is that skilled contractors are likely to remain in great demand if availability of personnel is limited and here at RedRock Recruitment we have access to some of the best work opportunities and projects, plus we have the right skilled workers on our books to manage all requirements. Finally, we would like to wish everyone a very Happy Christmas and a Prosperous New Year from all At RedRock Recruitment. In our regular industry outlook blogs, we usually look at construction statistics on a monthly basis. Analysis of outputs month by month does provide a snapshot of activity across the industry but as we ourselves have seen this year, the picture can go up and down from month to month. So when we can, it makes sense to look at information over a longer period of time to develop a more consistent picture. You may remember that in previous blogs we have looked at construction industry analyses which are issued by the Office for National Statistics and their most recently issued figures are an assessment of the third quarter of 2018. The ONS itself indicates in its data commentary that monthly figures have the potential to be ‘volatile’ whereas the quarterly measures provide a more ‘comprehensive’ view of ‘underlying trends’. We know that weather had an impact on quite a weak start to the year so the latest update and analysis from the ONS has shown a welcome indication of recovery with an increase in construction output during the third quarter of 2.1%. The increase was generated in two main areas – new work across all sectors notably increased by 2.8% and repair and maintenance work increased by 1.%. In terms of financial measures the value of the increase was £872 million in the third quarter when compared to the second quarter of 2018. The main growth was once again new work in the private housing sector at £507 million. Also worthy of note was non-housing repair and maintenance (an increase of £230 million) and also infrastructure construction (which increased by £191 million). The level of all work reached £13995 million which was the highest since the monthly records were first started in January 2010. This is positive news but what about the outlook for construction jobs? In another recent survey the Recruitment and Employment Confederation (REC) and KPMG index for construction staff dropped from 56.9 in September to 55.5 in October. Anything above 50 indicates growth so this figure remains healthy, but a drop shows that whilst there is a continuing growth in vacancies throughout the sector, it is happening at a slower rate. 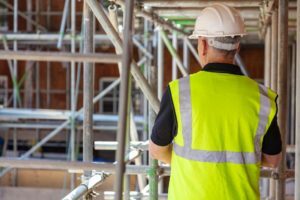 Industry watchers have commented that despite the positive news on construction output, there is still some uncertainty in the industry, particularly because of Brexit. Inevitably, uncertainty leads to hesitation over some new projects and new hires. Until there is a very clear conclusion from the UK and EU governments, this will continue to hang over the industry. At RedRock we continue to see healthy demand for skilled and qualified construction workers and we are pleased to note the positive ONS figures for the third quarter of this year. If you are looking for a new role, or are hoping to hire in the near future – get in touch with us today and we will be delighted to help. 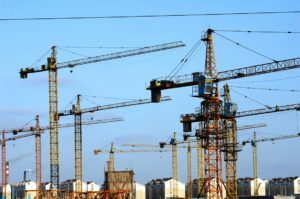 Industry analysts have shown some concern following a continued sign of construction slowdown in the monthly figures reported in the recent IHS Markit/CIPS UK Construction Purchasing Managers’ Index. Overall construction business increased during the month but expansion slowed for the second month in a row. This month’s figures also showed the weakest signs of growth over the past 6 months. The headline figure for this month’s index was 52.1, versus 52.9 for last month and the industry forecast had been set at 52.8. Any figure above 50 does indicate expansion – but what is worrying industry observers is the slowdown in growth and general lack of confidence and momentum in the market. Looking at the individual construction sectors, house building and commercial construction continued to hold their own with an increase in both sectors. The rate of decline in Civil engineering was the most notable and the CIPS cited a lack of new work in this sector. Despite the slight slowdown there was good news for new construction orders. The growth in new orders in was at its highest since December 2016 and this was particularly notable for new building in the residential sector which continues to see a growth in demand. What is behind the figures? Analysts have long cited Brexit as having the potential to cast a shadow over the construction industry but the direct impact continues to be difficult to measure. However, there is continued uncertainty hanging over the UK economy as a whole whilst business waits for a solid plan/agreement to emerge. The EU Summit which will be held in Austria on 18-19 October is intended to decide on the final terms of Brexit but it is not yet clear what, if anything, will be agreed. This month’s construction output survey did reveal a decrease in optimism amongst construction firms as a result of an overall lack of confidence. This is increasingly leading to potential project delays and there is a feeling of ‘putting off projects until things are clearer’. General feedback on confidence about the future was found to be at its second lowest level since February 2013. What does this mean for construction industry employment? Interestingly and in contrast to the decrease in general optimism, as a result of the upturn in orders – employment was at its highest since the end of 2015. Firms also reported taking on more apprentices and trainees. With an ongoing skills shortage in the industry and the potential for this to worsen over the medium term with less automatic access to European workers, this could be a positive sign that firms are beginning to increase investment in training to ensure a supply of skilled labour into the future. Another month – another slight dip and the picture seems to be really up and down since we have been following the trends this year. The one thing that can be concluded is that general uncertainty continues to cast a shadow over confidence. Although new orders have picked up – any confidence about the future is muted and this continues to be the case whilst we are awaiting the outcome of Brexit negotiations and is likely to remain until there is a clear indication of the way forward. At RedRock we continue to remain busy and to see a demand for professionals for all construction sectors and particularly those who are high skilled trades such as plumbing, engineering and electricians. If you are looking for a new role in any of these areas – get in touch with us to find out what is on offer today. Is the uncertainty around Brexit causing a slowdown following the summer’s positive news? 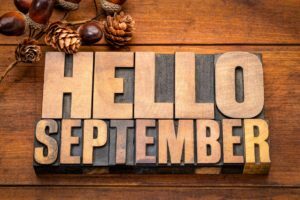 As we move into September, there is a slight chill in the air and the sunny and balmy days of the summer are coming to a close. People in the UK are famous for being obsessed with the weather but it has been a notable feature this year – particularly for activity in the construction industry which is affected by weather extremes. In 2018 we have experienced both the Beast from the East’s extremely cold and snowy conditions in the New Year, followed by an unusually hot summer – both of which have had a direct impact on the industry. Last month we looked in detail at the Office for National Statistics’ (ONS) quarterly construction output data which showed a positive picture for the UK construction industry as a whole. We also like to keep an eye on the Monthly IHS Markit/CIPS Construction Purchasing Managers Index. This index had also reached a two year high last month. However there is a less positive figure from the most recent CIPS report with figures for August showing a slight downturn. Last month’s index was at a high of 55.8, dropping to 52.9 this month – lower than the 54.9 which had been forecasted. Our regular readers will know that a reading above 50 indicates an expansion of the sector, and below 50 a contraction. So, despite a drop, there was still an indication of growth in the industry across the month. How did the individual sectors fare? Taking a look at the individual construction sectors, the best performer was commercial building, followed by the residential sector. Work on civil engineering projects decreased for the first time in 5 months. Generally speaking respondents reported that they expected to see expanded activity over the next 12 months but confidence has become weaker as we have progressed through the summer. It is likely that the earlier summer months did benefit from a strong bounce-back following the negative effects of the very poor weather at the start of the year. There is also continued domestic political uncertainty in the UK as a whole and in particular the unresolved future status of the UK following Brexit remains an ongoing constraint on activity. This was anecdotally mentioned as a reason to limit investment. What is the state of construction employment? IHS Markit/CIPS reported that despite lukewarm August figures for the industry as a whole, hiring in the sector remained strong, but there continues to be a skills shortage within the higher skilled construction roles. It is never great to see construction activity dropping. However it is important to remember that these figures do still represent a modest overall rise in construction output and we are comparing them to last month – which was a two month high. This month’s survey did report that employment growth was strong and remained close to July’s record level and the main issue faced by industry respondents continued to be a lack of skilled labour in certain areas. If there is a positive to this – it is that employers are prepared to pay increased wages for those with the right skills. This creates a candidate led market for those professionals with the rights skills, training and accreditations such as carpenters, electricians and plumbers. If you are looking for skilled personnel – or the next step in your construction career – RedRock can help. Get in touch with us today. Positive news for the construction industry with better than expected growth during the second quarter of the year. As keen watchers of the economy know, the Bank of England raised UK interest rates in early August from 0.5% to 0.75%, signalling their view that the economy is showing signs of recovery following the knock-back caused by the poor weather at the start of the year. We have also continued to see clement weather conditions in the UK which always have a positive effect on the nation’s overall mood and inclination to spend on summer essentials! There are also signs of a boost for the construction industry with the latest figures issued by the Office for National Statistics (ONS). The ONS has recently published its Construction Output data for the second quarter of 2018. As we discussed in our last blog, the HS Markit/CIPS Construction Purchasing Managers Index for July showed reasons to feel positive about the health of the industry, and the quarterly figures from the ONS seem to echo this. 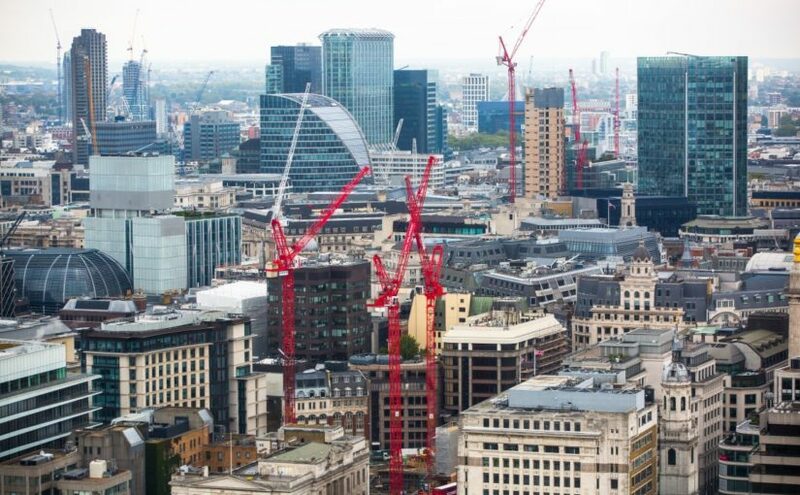 The figures for quarter 2 showed a growth in construction output of 0.9% (£364 million in money terms) recovering from the 0.8% fall in quarter one, which had caused concern for construction industry analysts. As we have mentioned in previous blogs, the widely held view is that the poor picture in early 2018 had mainly been caused by the extremely bad weather referred to as the ‘Beast from the East’. Although we can’t be absolutely sure that this was the main cause, the generally improving picture seems to imply it was a major factor. The data showed a mixed picture for new construction work. Public new housing experienced notable growth over the three month period, and infrastructure construction increased by £111 million. Overall, however, new building output was flat because new private housing work contracted and other public work such as schools, colleges etc. continued to fall. Most of the growth in the industry was generated from repair and maintenance activity which showed a 2.7% increase since Q1. 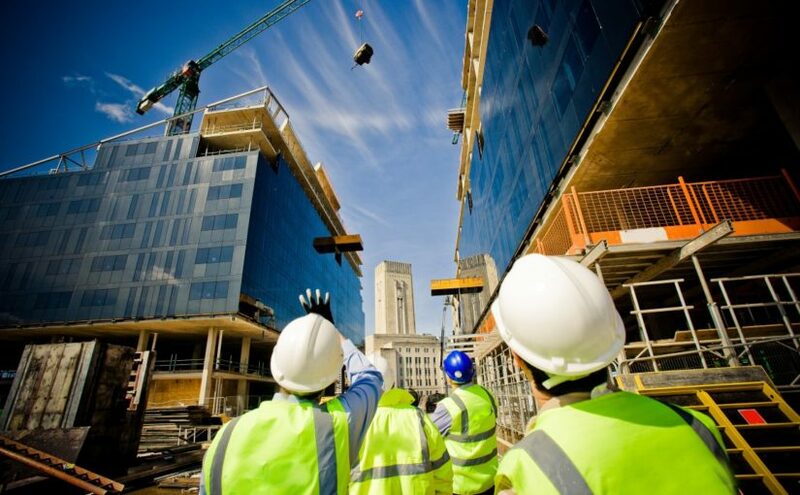 Backing this more positive view of the health of the construction industry, The HS Markit/CIPS UK Construction Purchasing Managers’ Index (PMI) data jumped to 55.8 in July after the 53.1 that we reported last month. This was welcome news and comprehensively beat analysts’ forecast of 52.8. How is the ONS data gathered? Construction output data is gathered by the ONS from monthly surveys of stakeholders in the industry, and the body uses its combined quarterly analyses to provide a comprehensive picture of trends in the industry. Our verdict: Healthy signs for the industry are keeping us very busy! At RedRock, we aren’t surprised by these figures as we continue to see a strong demand for experienced and skilled professionals for a wide range of construction requirements. 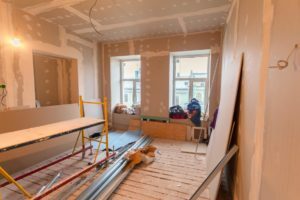 Despite ongoing fears around the uncertainty of the looming Brexit, which had been anticipated to have a dampening effect on construction work, we continue to see lots of new projects in London and throughout the South East, along with the usual repair, refurbishment and maintenance contracts continuing as well. 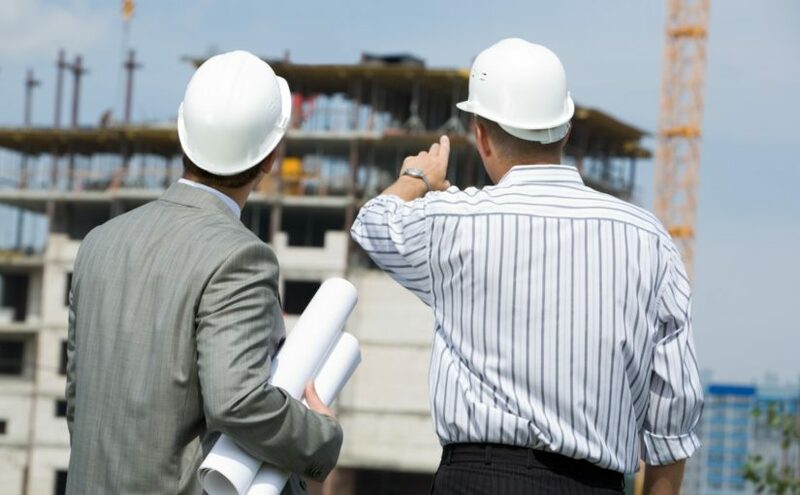 We make it our business to monitor developments in the industry as a whole – so we are always excellently placed to support clients with the right skilled personnel and to find the right positions for the professionals on our books. Browse our available jobs or find out more about us today. This month sees a welcome improvement in outlook for the UK construction industry. It isn’t just the football that has made us all feel more positive recently. According to the most recent Office of National Statistics (ONS) analysis (issued on 10th July 2018) there was a small growth of 0.3% in the UK economy during May, thanks in part to a combination of the warm weather and the royal wedding. 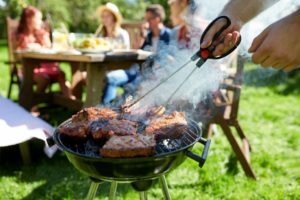 No doubt the success of the England team in the Football World Cup also encouraged a feeling of optimism for many of us over the last month or so with the nation’s retailers benefiting from sales of beer and barbecue ingredients! Although the figure only reflects a small improvement, the picture does look better than during the terrible weather at the beginning of the year. So, does this positivity also apply to the construction industry? How did the construction industry fare in June? 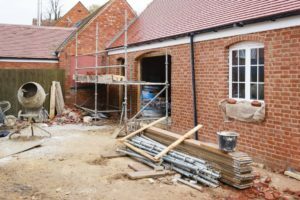 The ONS report pointed to a growth of 2.9% in the construction industry in their report following no growth in April and a contraction earlier in the year. 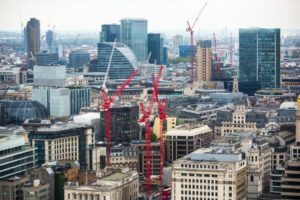 There was also slightly better news for the industry coming from the HS Markit/CIPS UK Construction Purchasing Managers’ Index (PMI) data for June. The survey saw increasing improvement during the month with the Index increasing to 53.1 from May’s level of 52.5. As a general rule a figure above 50 indicates growth in the industry and below means contraction. This was also slightly above analysts’ expectations – which had been 52.5. 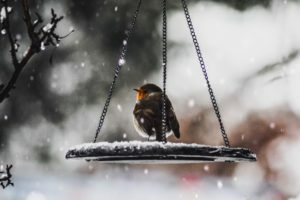 A contraction near the start of the year had been blamed on the extremely poor weather during the winter months and this increase may well indicate that this earlier analysis was correct. Why are things looking up? 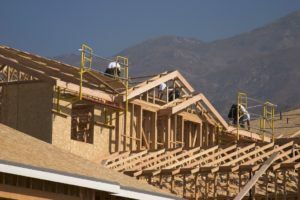 According the the index, house building was the strongest sector in the construction industry during the month of June. 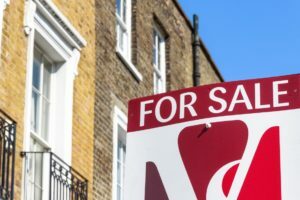 The monthly Halifax survey (reported in the Guardian) which looked at the housing market in the same period revealed that prices had risen a very small amount for two months in a row. This was a very modest rise and house prices are still essentially flat – but any evidence of a consistent upturn is likely to prove positive for the house building sector in coming months. However, the Index did also see a general expansion in all construction areas with signs that commercial building is beginning to increase again after flatter activity in early 2018. New orders are up leading to an increased workload across the sector. There was a downside which was an increase in input costs throughout the industry. What does this mean for employment in the construction sector? Two factors from this month’s finding are particularly notable – new orders were at their highest level since mid 2017 and job creation was at its highest level since a year ago. Both of these factors also led to an increase in the purchase of raw materials across the industry. Although the survey indicates an improvement in sentiment – it is still early days to herald a complete rebound. Some uncertainty remains – with residential housing construction in the lead, commercial projects improving and civil engineering still needing to catch up. We are, however, delighted to see an improvement in the job creation figures as this indicates a boost for the jobs market as a whole. Are you looking for the next step in your construction career? Or are you looking to recruit quality construction professionals? Get in touch with RedRock today and we will be delighted to discuss your requirements. 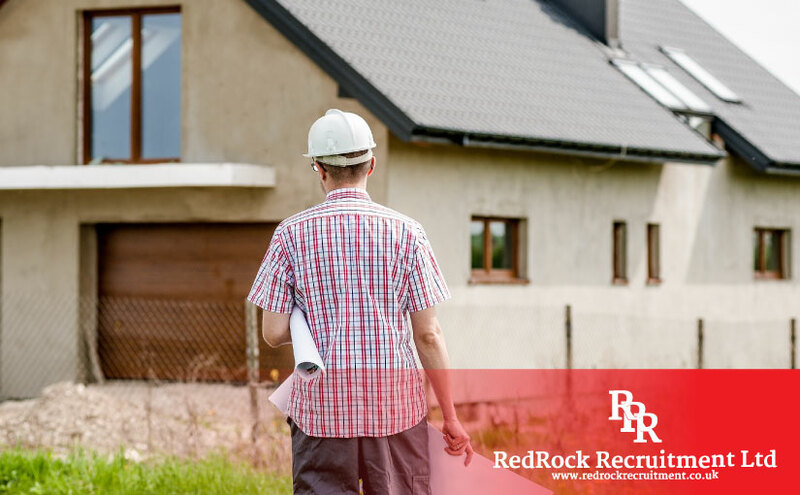 The RedRock Construction Industry Outlook reviews sentiment in the UK construction industry every month, with a particular focus on the labour market. The Chartered Institute of Purchasing and Supply (CIPS) Construction Purchasing Managers Index (PMI) is eagerly awaited by the construction industry every month because it provides a good indication of sentiment in the sector. The index is compiled from feedback and surveys from some of the industry’s major players, and respondents are asked to rate general conditions in the sector for production, employment, prices, deliveries, inventories and new orders over the previous month. The headline reading for the PMI for the month of May was 52.5 – exactly the same as it was in April. A reading above 50 indicates expansion of the sector and below 50 shows a contraction. Although appearing to hold steady, the figure was actually slightly better than had been anticipated by industry analysts who had forecast 52.0. 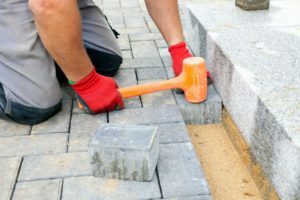 Some firms indicated that good weather conditions during May led to improved construction activity, allowing for a catch-up following very poor weather at the beginning of the year. However, this could reflect a one-off rebound from the negative growth caused by the ‘Beast from the East’ in the first quarter, meaning that the same positivity might not be sustained as we progress further into 2018. The Guardian online also cited retail store closures as having a negative affect with some retailers choosing to avoid expansion and putting off the construction of new stores. Residential house building remained the healthiest sub sector, but commercial and civil engineering were less robust. These areas have the potential to be more directly affected by general economic and political concern – particularly around Brexit. This atmosphere of uncertainty was further reflected in the fact that new orders declined in May for the fourth time in 5 months. 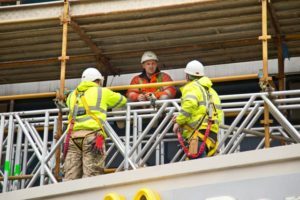 The situation was further exacerbated by an increase in some important business costs which have a particular impact on the construction industry including steel and plastic, as well as rising fuel costs. Job creation also experienced a four month low during the May survey period. 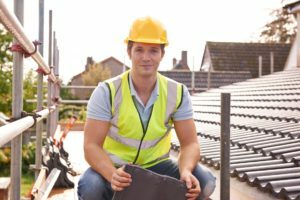 BUT respondents reported that they are still facing a shortage of skilled construction professionals. What does this mean for the industry as a whole? The latest PMI data has produced a lukewarm and slightly mixed response from economic and business commentators. The CIPS described it as ‘subdued’ in its commentary, whereas investing.com saw the industry as ‘holding steady’. However, there can be no doubt that a climate of general political uncertainty has affected confidence which inevitably has a knock-on effect on willingness to plan and undertake major construction projects. This is despite the fact that there is undoubtedly a requirement and appetite for major infrastructure improvements throughout the UK. Watch this space. A mixed picture this month means it is difficult to predict or define a pattern at the moment. One thing that is true is that firms continue to have a high demand for skilled workers and that reflects our experience here at RedRock where we make it our priority to place the most skilled workers with the best opportunities provided by our clients. Find out more about how we support our clients’ construction industry requirements or get in touch.